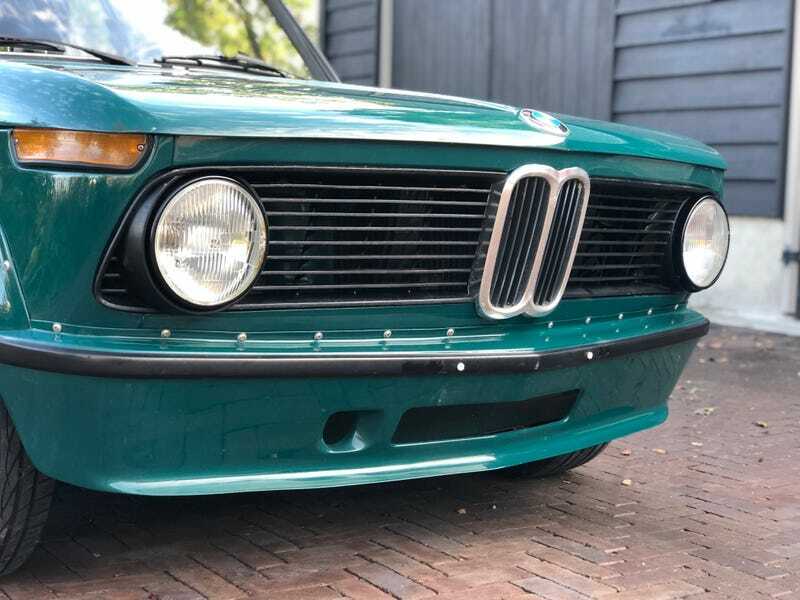 For those of you who haven’t seen my first few posts, I’m in the process of buying an Agave Green 1975 BMW 1502 from Holland and importing it to the United States of America! I want to give a special thanks to “The Actual RootWyrm” who generously provided information regarding the proper steps to take when importing. The shipping company that I am using mirrored that information, but it was great to hear it first from someone who has no financial interest in the transaction. So thanks!! Here is a quick timeline as to what has happened so far. I was the high bidder on the BaT auction, but the car did not meet the reserve. How that works on (BaT at least) is, the seller gets the high bidder’s contact info to try and make a deal if he/she wants. The seller contacted me almost immediately, we went back and forth for a few emails and agreed on a price the next day. Through that negotiation, the seller recommended a shipping service that he had used before. They were cheaper than I had been quoted other places, and actually called me to get info on the car and answer questions that I had, which made me feel better about everything. I made a deposit via PayPal, then we paused for the weekend. I met some friends for a few drinks on Friday night and waaaaaay overdid it as I was on cloud 9 after working everything out with this car. I had a head cold to start with and after a long night of drinking and a wedding the next day that cold got way worse. Honestly I still feel like garbage. Anyway that and the exchanges with “The Actual RootWyrm” sent me into an research frenzy for pretty much the entire weekend. The shipping company handles and or helps with all of the export/import documentation, but now I also know all about EPA form 3520-1, and DOT form HS-7. Both are pretty straightforward at least for cars older than 25 yeras. The only thing I have left to do is to call the PA DOT to find out what I have to do to get a US title and tag for the car. After the seller get’s his money, he sends me the title and we schedule pickup with the shipping company. I’m planning on driving the car home from port, so I’m hoping to be able to get at least a temporary tag for it before it arrives. If not I have a friend with a trailer! Once we get a little further along I intend to ask the seller to give me the run down on anything I need to know about the car. It will be my first carbureted vehicle that does not have a remote control, and I will be likely be picking it up when it’s cold out. So I will need to know what the process is for starting in cold weather. The weather in Holland seems to be pretty close to that of the East coast, so hopefully I wont have too much trouble.